Date: Dec 6 2018, 9 a.m. - 12 p.m. 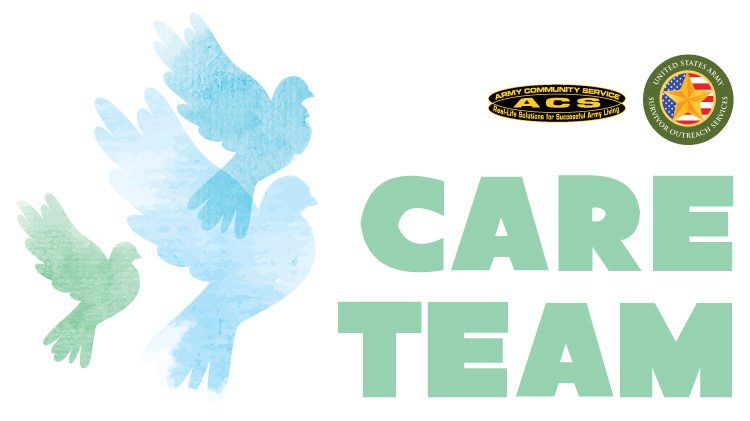 Become a Care Team volunteer for your battalion and provide valuable support to Families in their time of need. Caring for one of your unit Families following the unexpected death or injury of a loved one is a difficult task. The support you will provide to Soldiers and Families during their time of need is invaluable.